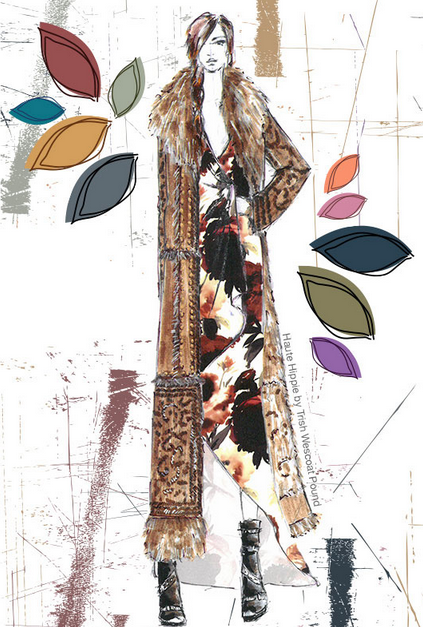 3 Fall Fashion Color Trends for 2015 With Complimentary Swarovski Crystal Tones! I can’t believe how fast this summer is flying by! It’s not over yet, we still have some time left to squeeze out some last minute fun in the sun. As we wind down the summer, it’s a perfect time to start thinking creatively about our new fall fashion and jewelry accessories! The fall season can be busy with all of the arts and craft shows, family gatherings, apple picking, pie making, leaf peeping excursions…whoa, it becomes a lot (a lot of fun, that is!). To help you start gearing up for all of your fall fun and artistic ventures, I will go through the top 10 colors for fall 2015 and the complimentary Swarovski Crystal Colors. 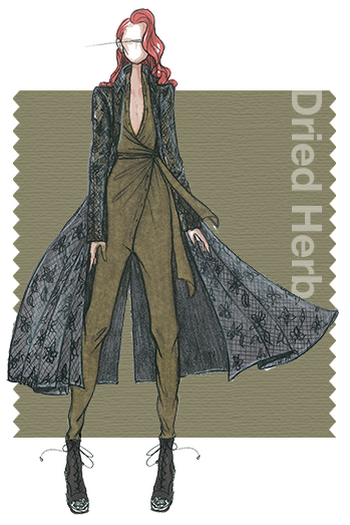 The Dried Herb is a classic olive green shade which people are naturally drawn to during the fall and winter months. It was once thought of as primarily a safari or military color, but is now being elevated into a fashionable fall staple that we can perceive as sophisticated and chic. It has an organic quality and is closely related to nature and earthly fragrances. Desert Sage is a soft and calming greenish grey color that is an ideal neutral tone. This lovely hue expresses a timeless quality that is stylish and compelling enough to make an influential fashion statement in and of itself. It connects us to a valuable feeling that naturally inspired colors are comforting and peaceful. Additionally it reminds us of things that are real and not invented. Signifying quality and luxury, Stormy Weather is a powerful blue gray shade that is strong, protective and enduring. Reminiscent of the sky on a gray, overcast day, this deep color is a quintessential fall favorite. Creating elegant accessories to compliment this popular hue will be very easy due to the rich assortment Swarovski provides in this stylish tone. 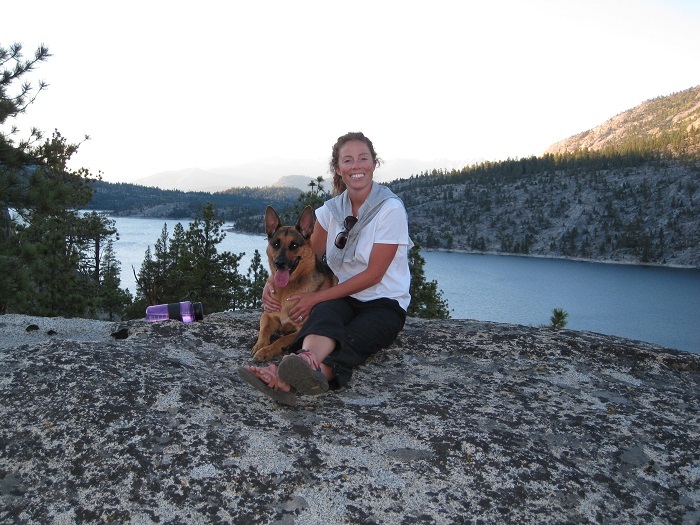 Kashi and I are all smiles hiking and camping in the Sierra Nevadas! Hope you live it up in these final days of summer. Have fun doing and creating what you LOVE! This entry was posted in Fashion and Jewelry Trends, Jewelry & Color Trends and tagged Chrysolite Opal, Chrysolite Satin, Complimentary Swarovski Crystals and Pearls include, Crystal Iridescent Green, Crystal Iridescent Green Pearl, Crystal Silver Night, Dark Green Pearl, Dark Grey Pearl, Denim Blue crystal beads, Desert Sage fall color trend, Dried Herb fashion color trend, Erinite, fall crystal trends, fall fashion color statement, fall trend colors, falls coolest trends, fashionable color trends, Indian Sapphire Satin, Jade, jewelry accessories, Khaki, Light Green Pearl, Montana crystal, Olivine, Olivine AB, Olivine Satin, Pacific Opal, Pantone Fashion Color Report Fall 2015, Powdered Green, Rainbows of Light, Stormy Weather color trend, Swarovski, Swarovski crystal beads and color trends, Swarovski Crystal Color fall trends, swarovski trend colors, Tahatian Pearl, Top 10 Colors for Fall 2015, Top color trends 2014, wholesale crystal beads, wholesale Swarovski Elements. Bookmark the permalink. ← These Trendy Tassels are Truly Tempting!